Most useful shortcuts in Eclipse. 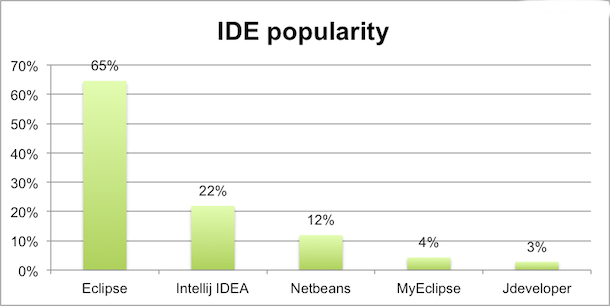 Though each of them have their own pros and cons, Eclipse is the most common choice of the programmers. Main reason being it's simplicity. So lets take a look at various shortcuts that come handy while using Eclipse. Why and when can we encounter ConcurrentModificationException in Java. If you are a beginner level Java developer and experimenting with Collections you may encounter this exception. Even I was taken with surprise when i first encountered such Exception.Let see why and when do we get such an Exception. Before we proceed take a look at the Iterator Example code in the post on Understanding Iterators. We will refer to a lot of things from that post. Iterator object has a remove function but generally beginners tend to forget that. See the following code when you will encounter ConcurrentModificationException. Code will correctly compile and run. It's a very simple point but programmers tend to forget it some time. What internally happens is as soon as data is updated in a collection the corresponding iterator is updated too which generally does not happen in normal collections. Having some idea about Collections in Java lets see what is an Iterator and what is it used for? As described in post on Java Collection an Iterator object is used to iterate over elements stored in a Collection. You know that Collection is an Interface. Even List, Set, Queue are Interfaces which then have their own concrete implementations like ArrayList, HashSet, LinkedList etc. Collection Interface implements another Interface called Iterable. Note : All these are just Interfaces(abstract functions). Their concrete implementation will be in the first concrete subclass. We can iterate only in one direction. Iteration can be done only once. This means once we reach end of a series we must get a new iterator to iterate. First we create a ArrayList called nameList and store some values in it. Note the use of Generics. nameList will and should always contain a String. If you try to add any other object Compiler will complaint. Also when you extract any element from the List you will always get a String object. Next we get an Iterator from the ArrayList. Note the Syntax. We can get such Iterator from any entity(interface/class) which come under Collection inheritance tree(Remember Collection implements Iterable). So we just need to use .iterator() function to get the respective iterator. Then we can iterate to get the elements. Note .hasNext() checks whether Collection(List/ArrayList in our case) has next element or not where as .next() will actually give you the next element. Note : Map and its sub classes/ sub interfaces are not a part of Collections.So you cannot use .iterator() function on it. There are other was to iterate over it's data but we shall cover that separately. When you talk about Collections, Generics are automatically introduced. 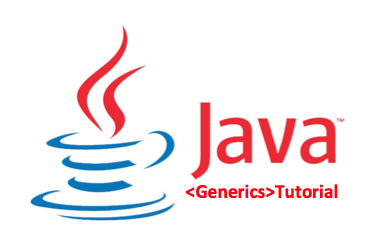 After knowing basics of how Collections work let us explore the World of Generics. "Generics is a Compile Time Concept"
By Generics you define what data type is associated with your Generic Class or a method. So at compile time when you do operations on your class or method compiler will always expect that generic type. Lets take an example to understand this better. Lets say you have a List to store name of some people. This is how you do it. Notice here 23 is not a String but an integer. Even if some one has a name called 23 we must say "23". But the point to note here is that one can add anything to the List at this point of time. So far so good. Code will Compile and even run. Lets see where the problem might occur. String name3 = (String) nameList.get(2); //Oops Error! because 23 is a int and you can't type cast it into a String. Also note that even if you store and actual String every time we have to type cast it . Wondering if there is a better alternative ? This is why we use Generics. At this point compiler will give error. Compiler know nameList can only have String and cannot accept integer . Program will not compile so running program will never come into picture. That's why we say generics is used for compile time safety. By using generics, programmers can implement generic algorithms that work on collections of different types, can be customized, and are type safe and easier to read. So far we saw use of generics on existing classes that JDK provides like List. Now lets write generic class of our own. 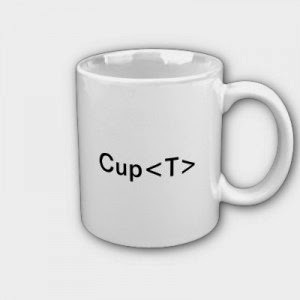 Notice that T. It's called type place holder - the type name T within angle brackets “<” and “>”. We use the same in all places in subsequent code. Now lets test this class. To simplify this diamond syntax is introduced in Java 7. In this type parameter in new Object creation expression can be omitted. Compiler infers the type from the declaration part. If you recollect I had mentioned in the beginning of this post that generics is compile time concept. This is also called type erasure. After compilation all generic code is replaced by concrete type. At Runtime there is no generics involved. At runtime there are no generics. It's plain concrete classes that exist. To sum this up due to type erasure after compilation both types are treated as same LinkedList type. the interface itself is not generic. Also you cannot create arrays of generic classes. ensureCapacity(size + 1); // Increments modCount!! Before we dive further into Collections let me take an example to show how Collections actually work.Lets take an List example as it is the most simple to understand. 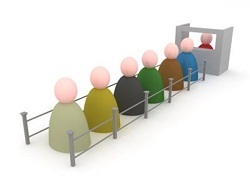 You can then try similar operations on Set and Queue. Not the functions remain the same for all as all three implement Collection interface. Only their implementations will vary. First we create a List name nameList and then populate it with some values.Not the use of polymorphism(Superclass reference i.e List to subclass object i.e ArrayList). You can add values in any Collection using .add() method.Observer the .add(0, "kenny") method. You can specify index as the 1st argument. Since i have put 0 "Kenny" is added to the front of the list(index 0). .remove() is also similar. Either you can specify an object to be removed as an argument or index at which object is to be removed. You can print the size of collection using .size() method. There are various other methods in Collection that we will learn in time but for now these should suffice. You can now play around with other Collections like Set and Queue. .clear() is another simple method to try. It will simple remove all emenets from the Collection. After this if you do .size() you will get 0.